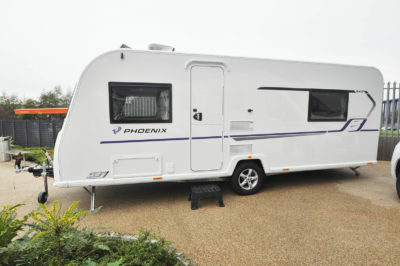 A seven-model line-up, Phoenix represents Bailey’s latest attempt to tackle the budget end of the tourer market. But, it’s a bit more than just low-cost – more budget-plus, if you like. Or maybe even budget-premium. 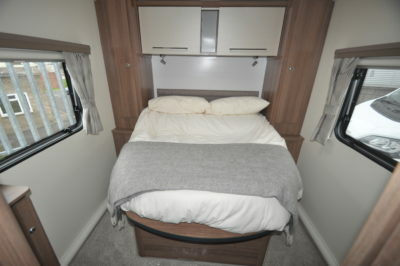 The 640 here is one of two island bed models in the range, both retailing at the same, sub-£20,000 on-the-road price. Still, there are plenty of the kind of features you’re more likely to see on a premium tourer – like the extended front central window, which lets in so much more daylight and also opens for ventilation. Inside, the upright body shape allows the settees to extend right into the front, also optimising the interior space (albeit at the loss of a ledge across the windows). They’re set around the usual choice of a slide-out tabletop from the chest of drawers and/or a free-standing dining table. Reading lamps with USB charging outlets are a neat touch. 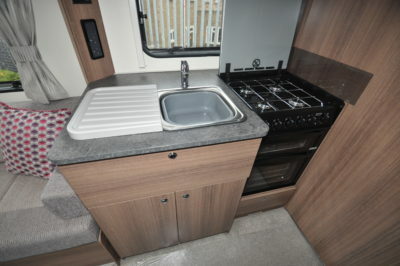 Mid-‘van the kitchen facilities are split between the fridge and microwave oven on the nearside and the main kitchen unit on the offside. The latter is home to a Thetford Caprice cooker with four-ring hob, separate oven and grill. There’s lots of kitchen work surface, thanks to the flush-fitting cover for the cooker … not forgetting also the worktop over the fridge across the corridor, all easy to hand. Under the sink, it’s a large drawer (with cutlery compartments) and a double-doored cupboard going down to the floor. This is very much a caravan of two halves. Open the solid door from the kitchen and you walk into a full bedroom with island bed, via a generous shower cubicle on your right and a toilet room on your left. That cubicle has folding doors and plastic wall linings and an Ecocamel showerhead, but lacks somewhere to put your showering victuals. There’s a swivel-bowl Thetford toilet and a fixed basin in the toilet room. 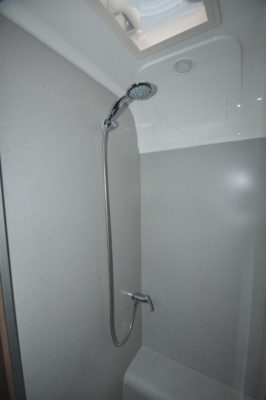 There’s also a towel holder, but nowhere else to hang clothes etc. 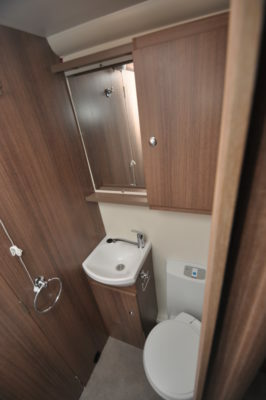 For storage, there’s a locker under the basin and a high-level cupboard plus some open shelving and a mirror. No window, though. Carry on through and that island bed slides out to almost fill the room, lengthways. There’s space each side for a wardrobe and bedside locker, plus lockers overhead. There’s plenty of storage room in the bed base, too – that’s despite the presence of the dining table, not always the ideal location for lugging out such an item. 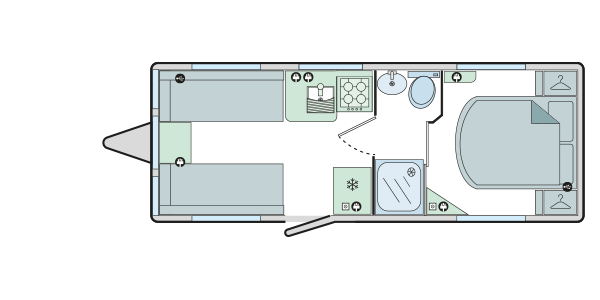 Also in the bedroom is a vanity area at the foot of the bed (offside) and a corner shelf for a TV, along with sockets, on the nearside. A sliding door completes the bedroom privacy. Your tow car will, of course, be the deciding factor, but Bailey seems to have struck an ideal compromise between low weight and structural build quality, along with a specification that is far from wanting. 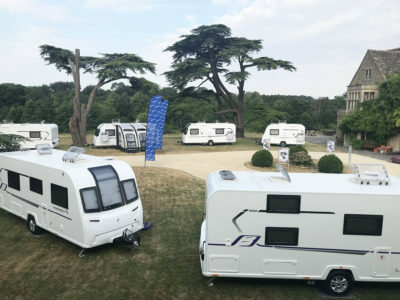 Indeed, apart from the usual extras your dealer might choose to tempt you with – solar panel, satellite TV system etc – there are few factory-fit options. One is a Dressing Pack of bed throws and extra cushions (as shown here) that helps complete the comfort. From the outside, there are few signs that this is a lower-cost tourer. Access is via a stable door, the gas locker is near the axle, with Bailey eschewing the usual locker at the front. That latter point may be the only one of any contention in a touring caravan that doesn’t lack for appeal. 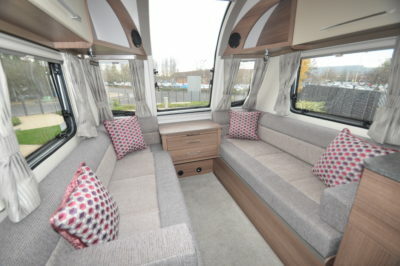 I looked at this at my local caravan dealer. Love the layout, but found the front seats very hard and uncomfortable, and the dark wood interior a bit dull and dour. Think I will stick with my trusty Orion for now! Interesting that someone thinks it’s a stupid layout, they would appear to be in somewhat of a minority as this layout seems to be very popular judging by the number of similar layouts on the market. Just because it’s not to YOUR taste doesn’t mean everyone else holds the same opinion does it? 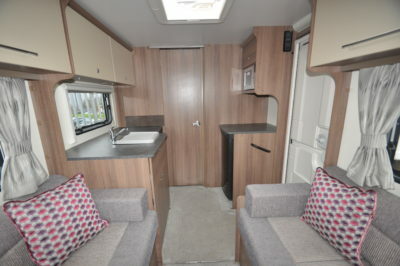 Why not do a poll of what people require to make caravan a home whilst touring, i.e. Where the bed is situated, like you leave the caravan without a tv so people can fit there own, but give a choice of 3 makes, same with a microwave, fridge, and the likes & build a people caravan and see what the general outfit would be, but, ask them what unit they have now, just a thought. Obviously another caravan NOT designed by a woman. What a stupid layout. Ugly too, bring back the Pursuit range! A lot of caravan for your money. I am waiting delivery of a Dealer Special version that has lots of extra goodies inc ATC (why such a good safety feature it’s not fitted as standard is beyond me) plus a lot of other niceties that bump the spec up to virtually the same as a Bailey Cabrera (same layout) with the exception that the Phoenix has blown air not ALDI heating. The really important thing is that my dealer special costs six thousand pounds les than the Cabrera!!! I certainly cannot see how its worth 30% more! The one slight niggle I have is that the EHU point is no longer hidden away in the battery locker (the battery is now under the floor) so the hook up point is on the near side, which means it’s sticking out into the awning space with the potential of the cable becoming a trip hazard. A much better location would be out of the way on the offside along with the water inlet & gas locker. 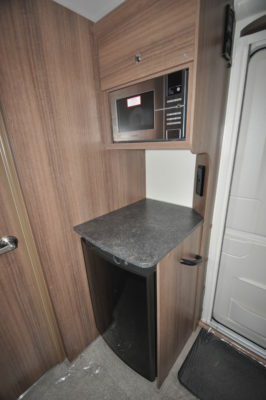 I sometimes wonder if caravan designers ever actually use the products they design. Perhaps the fact that it would take about 2m more mains cable to cross the caravan and reach the charger was the influencing factor? If so that’s really penny pinching! 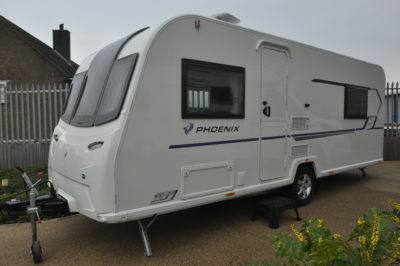 I have just taken delivery of an upspec 640 from Chipping Sodbury caravans which is renamed Platinum. I was very disappointed to find there is no carpet fitted in the bathroom area and a very cheap alternative microwave oven that did not fit the aperture leaving a gap of about an inch around..